One of the biggest trends right now are Facial Sheet Masks…also called the lazy girl’s facial aka best friend! It’s not just the celebrities who are posting selfies after selfies of their faces adorned with sheet masks, it’s every other girl….and there is a very good reason as to why this trend has caught up so quickly. I’ve never really been much into skincare, but lately I’ve felt like the years are finally catching up with me and I really need to start paying attention to my skin. 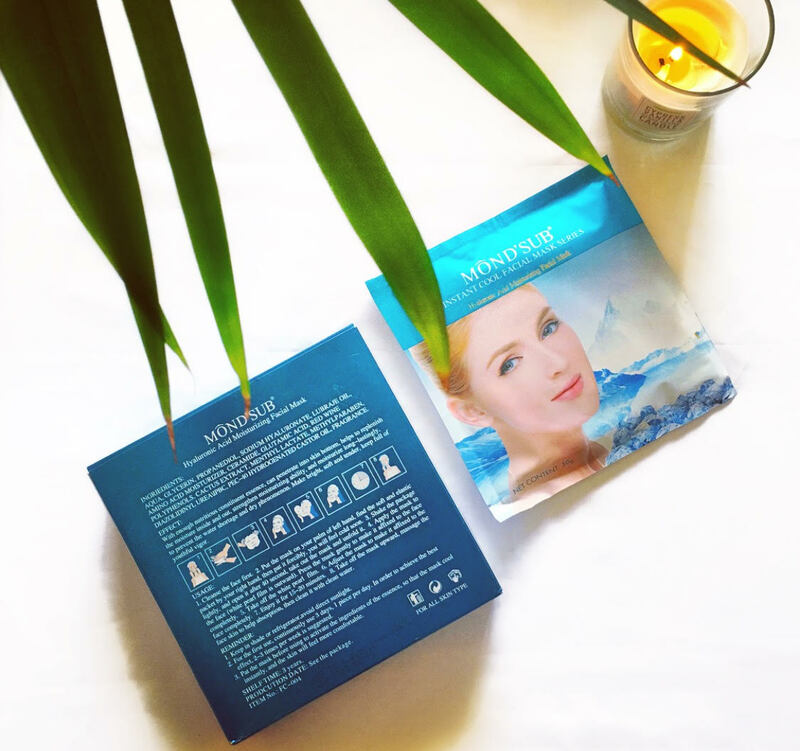 As I browsed through the internet, I was repeatedly hit in the face with ads of how GREAT facial sheet masks were for your skin and why I should try them out. After hours of contemplating I finally gave in and decided to give this trend a try. Online shopping is a HOT favourite of mine, so obviously I took to Amazon.in to help me out with my hunt for the perfect facial sheet mask. I came across a brand named Mond’sub, which really intrigued me, but sadly when I tried to Google reviews of this brand only ONE came up…One?! That being said, if you’ve been following me for a while, you will know I have fallen in LOVE with this brand and have taken it upon myself to review each and every single mask from them! The packaging of their masks looks amazing….the ingredient list is interesting and the variety is awesome. Without further rambling, let’s jump in ‘coz I’m so excited to share this one with you! 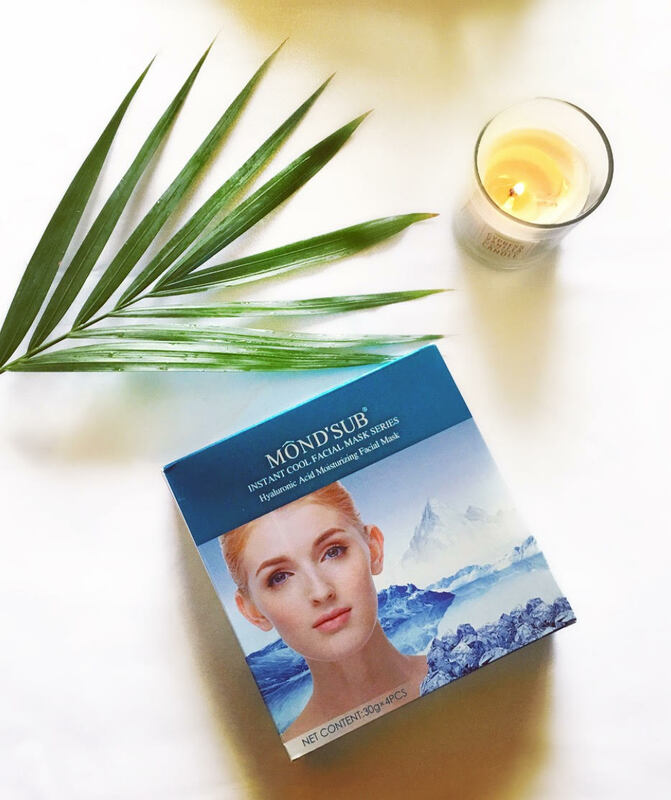 So the first sheet mask I ever got was the Mond’sub Hyaluronic Acid Instant Cool Moisturizing & Brightening Facial Sheet Mask and after using it a couple of times, it’s time to review it. This came in a pack of 4 for Rs. 599/- (now priced 100 bucks cheaper! ), which I thought was a decent price to pay. As you may know Hyaluronic Acid is amazing for skin and this mask really did live up to all my expectations. Hell YES! My skin felt incredibly hydrated and the redness and acne bumps on my face seemed to have settled and calmed down. Incredible mask! The sheet has a LOT of essence and even after you’ve used the mask there’s a lot of product inside the packet that you can use on your neck and arms. The only negative (for me personally) is that the eye holes are small! 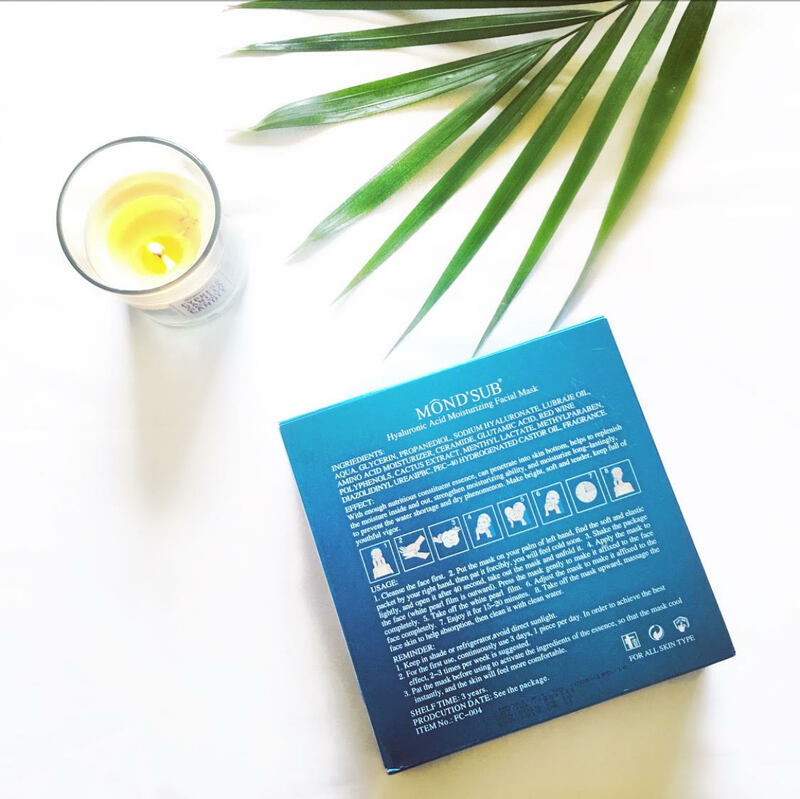 Having said that, if you’re looking for a sheet mask that’s going to hydrate your skin and leave it feeling like you drank 5ltrs of water that day….this is the one!